Problems are the perfect opportunity to build loyalty. 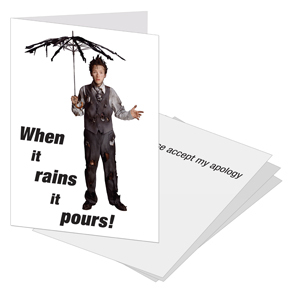 Replace a standard business apology letter with NISA business apology greeting cards and set yourself apart from the competition by showing that you will stand behind your product and services. 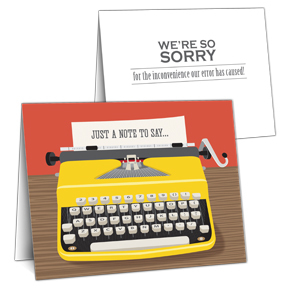 Please accept our sincere apology. 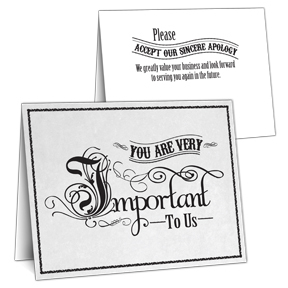 We greatly value your business and look forward to serving you again in the future.